It seems everyone knows that you can’t get a mortgage after filing for bankruptcy, or that bankruptcy will forever ruin your credit, or that you will never again be able to finance the purchase of a new car if you file bankruptcy. On the other hand, everyone seems to know you have to wait ten years after a bankruptcy to be able to buy a house…. Once you read these HUD and FHA regulations, you will be the only kid on your block who knows for sure whether you can obtain a mortgage and buy a new home after a bankruptcy filing — and when you can do it. A Chapter 7 bankruptcy (liquidation) does not disqualify a borrower from obtaining an FHA-insured mortgage if at least two years have elapsed since the date of the discharge of the bankruptcy. During this time, the borrower must have re-established good credit, or chosen not to incur new credit obligations. 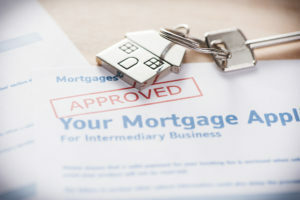 An elapsed period of less than two years, but not less than 12 months, may be acceptable for an FHA-insured mortgage, if the borrower can show that the bankruptcy was caused by extenuating circumstances beyond his/her control, and has since exhibited a documented ability to manage his/her financial affairs in a responsible manner. A Chapter 13 bankruptcy does not disqualify a borrower from obtaining an FHA-insured mortgage, provided that the lender documents that one year of the pay-out period under the bankruptcy has elapsed the borrower’s payment performance has been satisfactory and all required payments have been made on time, and the borrower has received written permission from bankruptcy court to enter into the mortgage transaction. Now that you know you can obtain a mortgage after filing bankruptcy, your decision about whether bankruptcy could be right for you can be made without fear of being permanently exiled from home ownership.